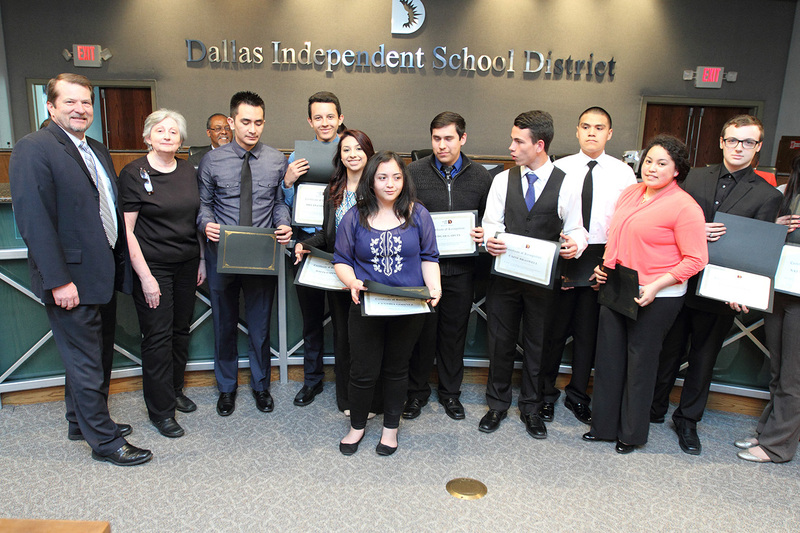 The Dallas ISD Board of Trustees honored accomplishments of students and staff at its regular meeting on March 26, 2015. 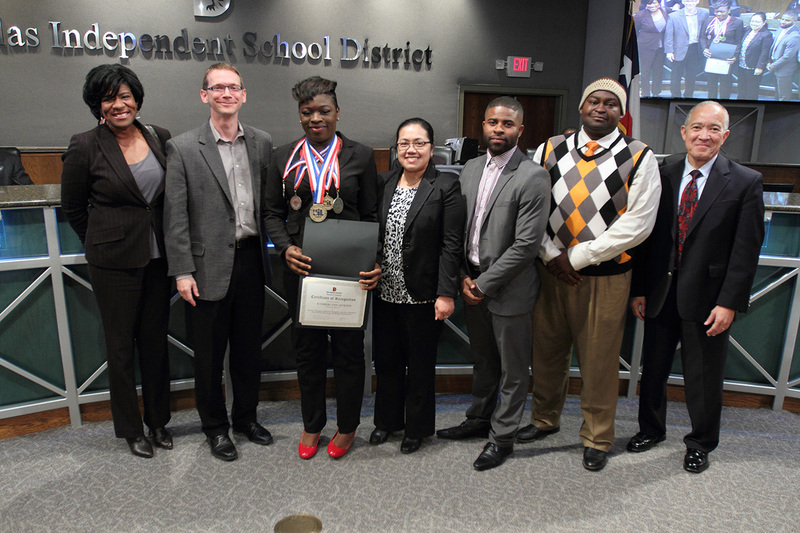 • Seagoville High School’s Academic Decathlon team took first place in the Region XII Medium School Division Academic Decathlon Competition and represented Dallas ISD at the state competition earlier this year in San Antonio. 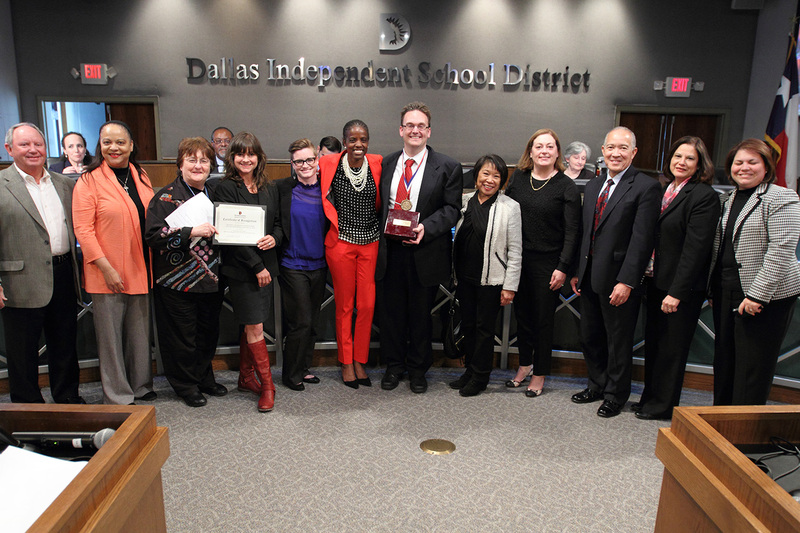 • The School of Science and Engineering’s Academic Decathlon team took first place in the Region XII Large School Division Academic Decathlon Competition and represented Dallas ISD at the state competition earlier this year in San Antonio. 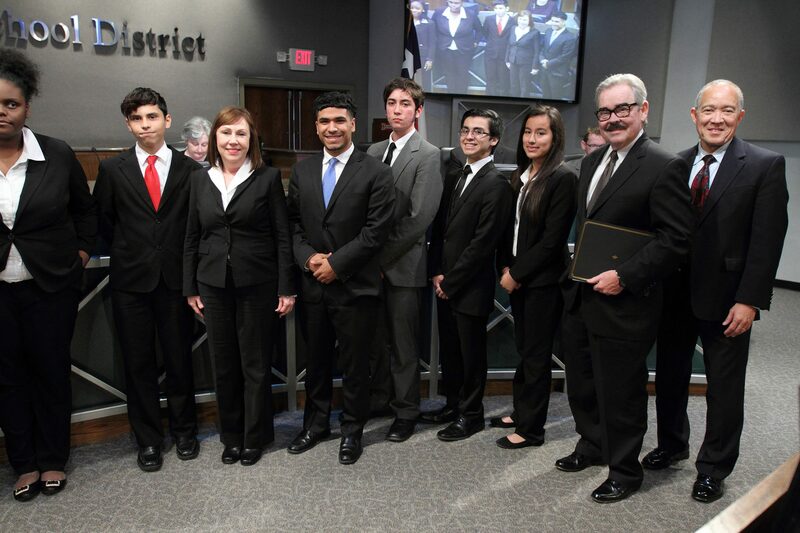 • Skyline High School’s Mock Trial team won first place in the 36th Annual Texas High School Mock Trial Competition. 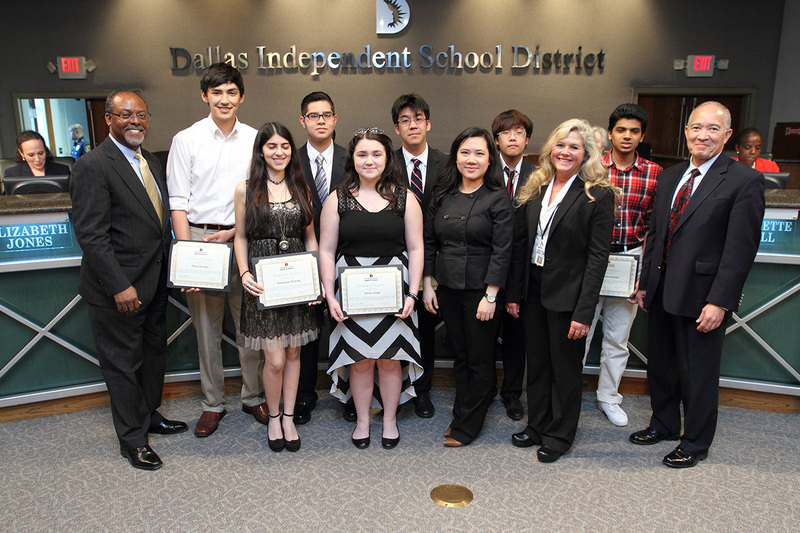 More than 28 high-school teams competed in the contest March 7 in Dallas. 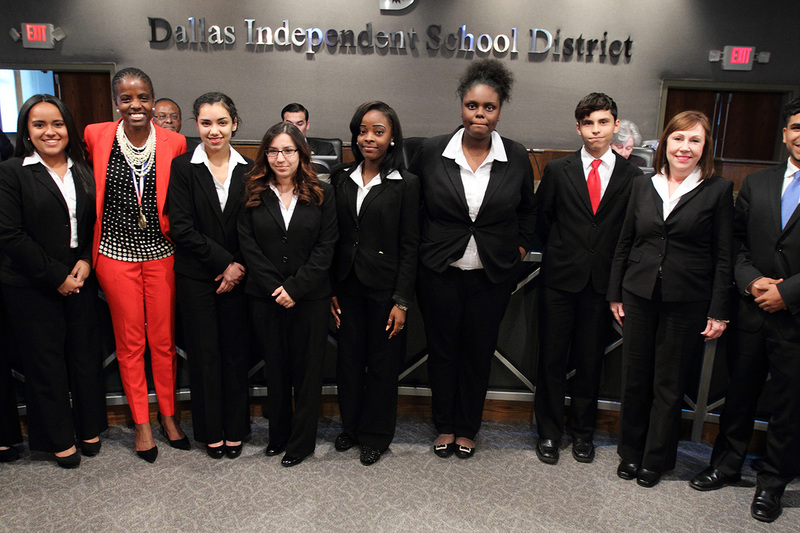 The students argued a hypothetical criminal court case written by local attorneys with the Dallas Bar Association, according to a news releasefrom the association. 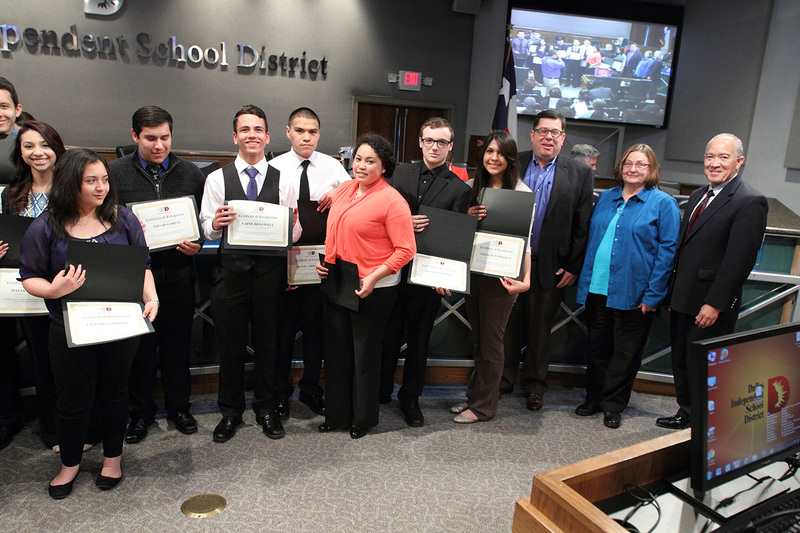 Judge and attorneys served as jurors. 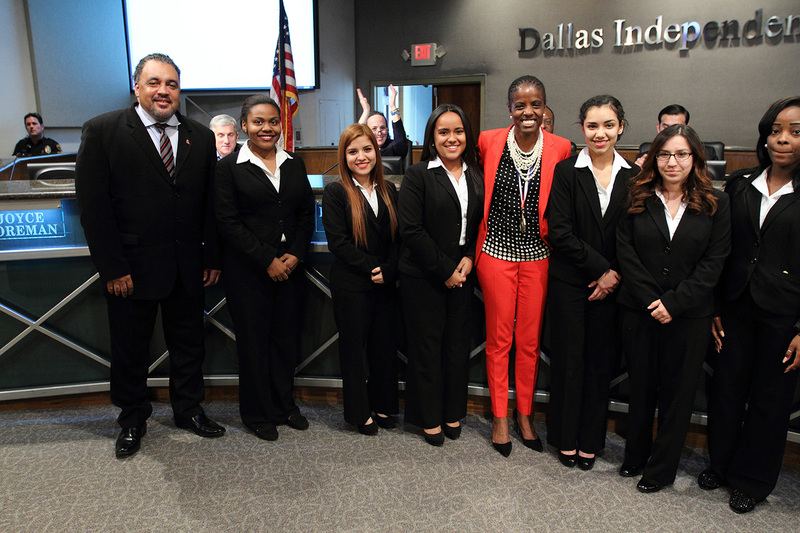 Skyline will represent Texas in the 2015 National High School Mock Trial Competition on May 14-16 in Raleigh, N.C.
• Girls wresters found great success this season, including state champion Kymberlynn Jackson of North Dallas High School; and her fellow competitors Kaitlyn Contreras of North Dallas, Avery Sims of Justin F. Kimball High School and Maria Vidales of Skyline (not pictured). 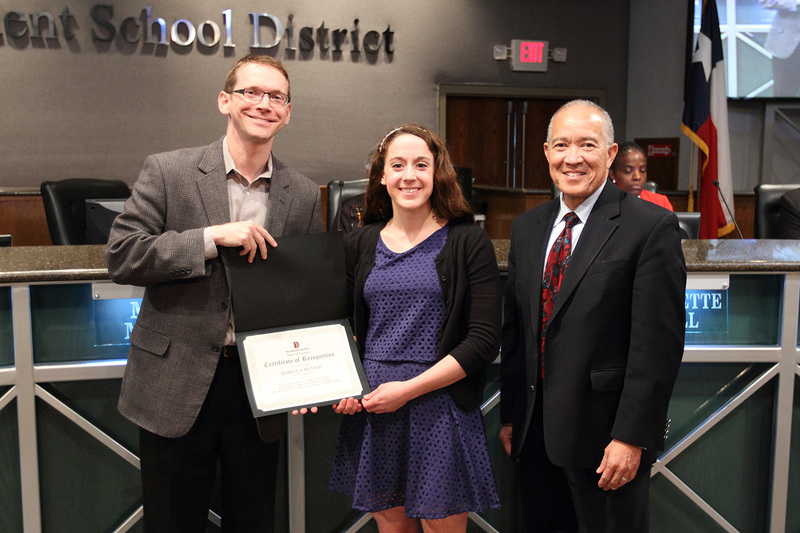 • Rebecca Brandt of Hillcrest High School placed first in the 100-yard Butterfly with a time of 56.13 seconds at the Feb. 21 UIL State Swimming and Diving Championships in Austin. 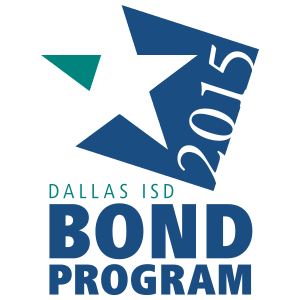 Brandt placed third in the 200-yard Individual Medley. 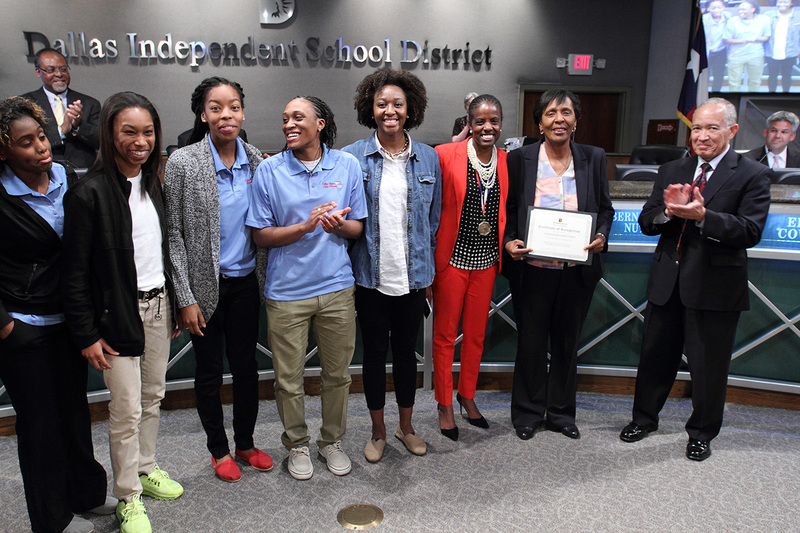 • Cassandra McCurdy, head girls basketball coach at Skyline High School, was recognized by the Texas Girls Coaches Association as its 2015 Class 5A- 6A Coach of the year. 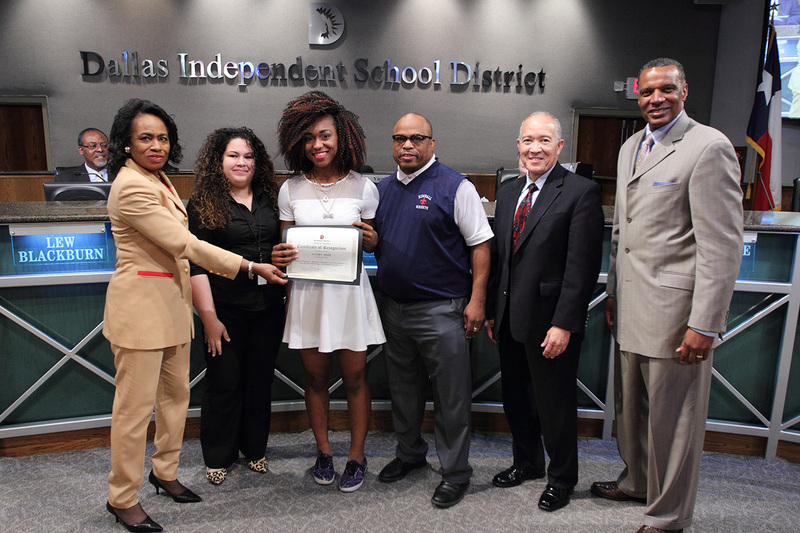 McCurdy, who is retiring at the end of this school year, led Skyline to a 31-7 record and state runner-up finish in 6A. 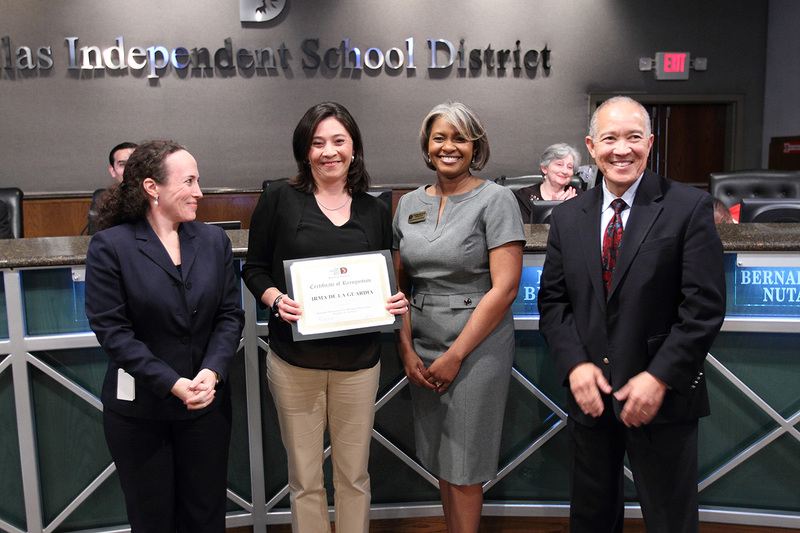 • Irma De La Guardia, a third-grade dual-language teacher at Harry C. Withers Elementary School, is the National Association for Bilingual Education’s Teacher of the Year. 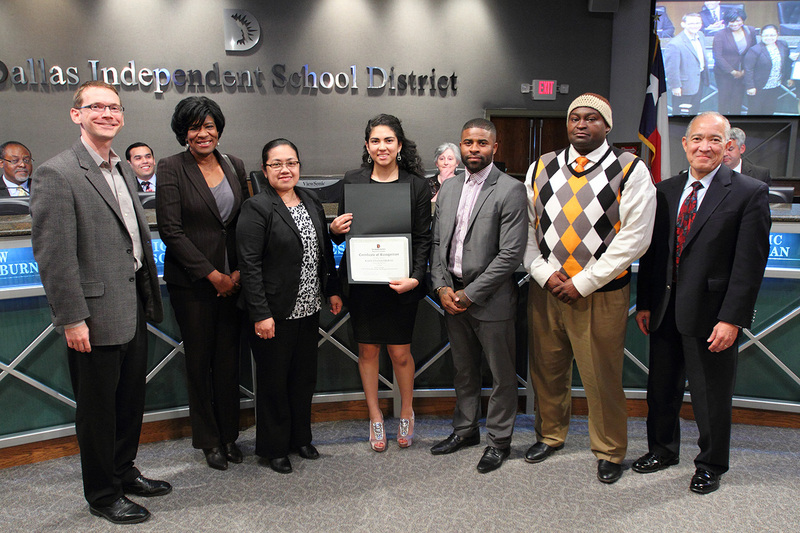 • Booker T. Washington High School for the Performing and Visual Arts received a 2015 Texas Medal of the Arts Award for Arts Education.